The start of a new year often conjures up hopes of a new you – losing extra pounds, stopping that unhealthy habit, or making changes to enrich life overall. In fact, many of us are already trying to prevent bad health and create solutions for the solvable in ourselves. For many in the world’s poorest countries, this isn’t feasible and the impact of not knowing, or not having access to the information or services needed to succeed, has severe consequences. The prevalence of non-communicable diseases (NCDs) such as cervical cancer, diabetes, and hypertension are having significant and far-reaching effects on populations in the world’s poorest countries, where people often lack basic access to medical care or preventive healthcare guidance. Many in these communities are not aware of the effects that these ‘silent killers’ are having on their own lives, on their families, and on the broader community. NCDs are chronic conditions that progress slowly and share common behavioral risk factors, including tobacco use, excessive alcohol consumption, a lack of physical activity, or an unhealthy diet. While we tend to think of NCDs as diseases of the elderly, this is not the case in the world’s poorest countries. WHO studies conclude that countries with fragile health systems, particularly in low to middle-income countries (LMICs), account for 80 percent of NCD-related deaths. In 2013, NCDs accounted for the deaths of more than 8 million individuals before their 60th birthdays in LMICs. Family members of those affected often have to take time off work to care for their loved one, resulting in lost productivity and reduced income. The World Economic Forum estimates the combined global economic impact of cardiovascular disease, chronic respiratory disease, cancer, diabetes, and mental health between 2011 and 2031 at approximately $47 trillion. When considered in these terms, NCDs will not only have a devastating impact on affected individuals and their families, but also on the economic productivity of the community and society as a whole. Since we know the profile of at-risk individuals, where they live, and the impact of the diseases, what are we doing to prevent and solve the NCD crisis? The answer is simple—not enough. An objective within Goal 3 of the United Nations’ Sustainable Development Goals is to reduce premature mortality from NCDs by one-third through prevention and treatment by 2030. To achieve this target, major interventions are needed to treat people as they age, to mitigate the negative impacts of rapid urbanization, and to counteract global norms that promote—rather than discourage—unhealthy habits and diets. Yet the latest UN audit shows that 37 percent of countries still lack an integrated national NCD strategy to ensure that this is achieved. It’s clear that we need innovative global strategies and partnerships to effectively combat NCDs. At Population Services International (PSI), we’ve started this work, supported by new partners—foundations, corporations, and individuals—motivated by both personal belief and business aspiration. Global cervical cancer mortality highlights many of the inequities of the world today, particularly in terms of wealth, gender, and access to health services. This disease, caused by high-risk strains of the human papillomavirus (HPV), is transmitted during sexual contact. Left unchecked, it can lead to invasive cancer of the cervix. Roughly 90 of women who die from cervical cancer live in countries where access to routine vaccination, screening, and preventive treatment is not easily available. Global Medical Director at PSI, Dr. Paul Blumenthal, acknowledges, “The tragedy of cervical cancer is that it is entirely preventable and that with the tools we have available today, no woman, anywhere in the world, should have to suffer from it.” Highly effective vaccines that protect against common high-risk strains of HPV can reduce new cervical cancer cases by up to 70 percent. While global initiatives have pledged 30 million vaccines to protect adolescent girls in less-industrialized countries by 2020, only a handful of these countries have pitched the case for investment in the HPV vaccine to policy makers, clinicians, and consumers. In Australia, recent data shows a reduction in the incidence of cervical cancer due to widespread use of the vaccine. Even as global vaccination efforts increase, there remains an urgent need for expanded, affordable access to screening and preventive therapy to save women’s lives, especially in Africa where it is the leading cancer killer. The tragedy of cervical cancer is that it is entirely preventable and that with the tools we have available today, no woman, anywhere in the world, should have to suffer from it. PSI is working to scale up existing, proven methods of visual screening and preventive treatments already approved by the WHO in numerous countries across Africa, Asia, and Latin America. Through these programs, and as part of an integrated approach to reproductive health and wellness, over 1 million women have been screened and over 16,000 women have undergone preventive treatment for cervical cancer since 2012. As prevention expands, there is still immense opportunity to identify and scale promising new diagnostic technologies. Such is the case with HPV molecular testing, an approach that would allow women to self-collect their samples without having to undergo a pelvic exam, thereby enabling scarce resources to focus on women who need additional care. What about men? Hypertension, a long-term medical condition in which the blood pressure in the arteries is persistently elevated, increases the risk of heart attacks and strokes and contributes to heart and kidney diseases. Hypertension often does not cause symptoms in its early stages, and thus, the condition often goes undiagnosed. For those who are diagnosed, access to treatment and lifestyle interventions to help control the disease is not always available. In Kenya, an estimated 28 percent of adult men are hypertensive, yet health outreach activities and healthcare facilities predominately target and reach women. Understanding contextual dynamics like this could be the key to devising and ensuring the success of new solutions. Healthy Heart Africa (HHA), a program launched by AstraZeneca in Kenya, aims to reach 10 million hypertensive patients in Africa over the next ten years. Population Services Kenya, an HHA partner, works through its Tunza social franchise network of 314 private healthcare providers to offer primary care services to over 1.1 million clients annually. Starting with an 18-month demonstration phase to understand how best to integrate hypertension services into existing healthcare service infrastructures, the program’s six partners have screened over 2.7 million Kenyans, activated 403 health facilities, and trained 3,000 healthcare workers across 31 countries. The program has identified close to 100,000 patients with high blood pressure and, as a result, nearly 70,000 are receiving treatment. Along the way, we’ve identified new outreach strategies to encourage more men to visit the clinics. These include reaching out to men on their daily commute, adapting community health trainings to effectively connect with new patients, and going to the patients at their workplace versus waiting for them to come to the clinics. In 2016, the WHO released its first global report on diabetes, which highlights the disease’s “alarming surge;” rates of the chronic illness have quadrupled in the past three decades. Ten percent of Latin Americans live with diabetes, which is closely related to a growing population that is overweight, obese, or sedentary. But critical diabetes medicines and health technologies, such as insulin, are not available in two-thirds of the world’s poorest countries. Without proper treatment, diabetes can result in blindness, amputations, strokes, and heart attacks. Testing new interventions to overcome structural and societal barriers that have stymied prevention and the effectiveness of promising solutions is at the core of an adaptive approach. 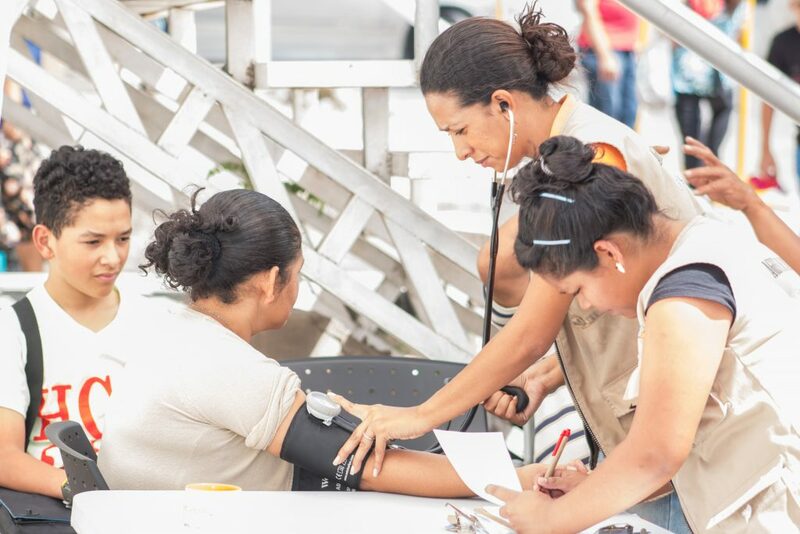 Supported by Novo Nordisk and the World Diabetes Foundation, PSI’s work in gestational diabetes in Nicaragua has provided screening for over 18,000 pregnant women. For those diagnosed with the condition, the program offers lifestyle management training through tailored programs. Instead of focusing solely on treating the disease and its symptoms, the initiative seeks to prioritize lifestyle changes like nutrition and exercise to better manage the disease, or prevent it, in high-risk groups. Incidentally, none of these programs have focused on traditional solutions such as a new drug, or a new treatment device. Instead, convening diverse stakeholders—business owners, pharmacists, health workers, patients, philanthropists, and government officials—in a participatory process has been a key to developing successful solutions. Within the time frame of the Global Goals, cervical cancer can be virtually eliminated, and Type 2 diabetes and hypertension prevalence and complications can be significantly reduced. Through major awareness campaigns and sustained cross-sector collaboration, the global health community can help eliminate these invisible killers. We’re looking towards the Global Engagement Forum Live on April 4-5, 2017 to continue this work. Come join us. Heather brings fifteen years of global public health experience to PSI where she currently works as technical advisor for non-communicable diseases (NCDs). In this role, she supports PSI field teams to develop, implement and evaluate programs focusing on control and prevention of cervical cancer, hypertension and diabetes. She also represents PSI externally as an advocate to increase visibility for NCDs among civil society, corporate and government partners. 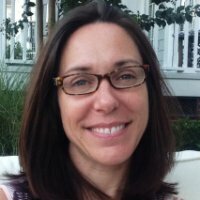 Prior to joining PSI in 2012, Heather served in various academic and administrative roles at University of Alabama-Birmingham (UAB), most recently as director of educational programs for the UAB Sparkman Center for Global Health. Heather served as a U.S. Peace Corps volunteer in Burkina Faso, West Africa (2000-2002), after receiving her Master’s of Public Health degree in International Health and Epidemiology from UAB.